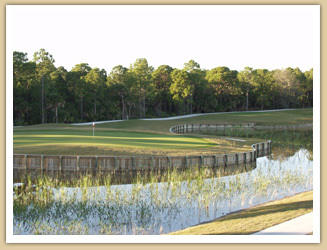 Pelican Pointe Golf and Country Club is an oasis that awaits you. Whether you desire golf, tennis, swimming, fitness, pickleball, weddings, anniversaries or social functions, Pelican Pointe is the place that has it all. Imagine if you could be on vacation….everyday. Situated near the heart of Venice, Florida, just south of Sarasota, this award winning, 27-hole golf course is sure to pique the interest of golf enthusiasts. Tennis courts, a junior olympic size swimming pool and fitness center await the non-golfer. Social activities and amenities are abundant. The clubhouse is the focal point of the nightlife for the community. Pelican Pointe is more than a great golf course. It is a first class, award winning, Florida golf course community with a special focus on residential concerns and lifestyles. We cater to special events, such as a custom wedding, anniversary or unique event. This golf community is truly a place where life feels different. Your home is more than just mere walls and a roof. Our commitment to creating a lasting impression is why our Club has earned the distinction of being known for its southern hospitality, hosting spectacular weddings and for being recognized as one of the finest clubs and residential communities in the area. PGA and LPGA trained professionals stand ready to ensure your expectations are exceeded. We are home to a LPGA National Teacher of the Year. When visiting Venice, Florida or the Sarasota area, you are invited to visit Pelican Pointe and experience the golf course community or wedding venue you have always desired. managed by Littlestone Management LLC. Enjoy the best conditioned course in Venice. Ask about our specials on Saturday & Sunday. Enroll in our E-Club for specials. Call 941-496-4653 ext. 221 for details! No problem finding lifetime friends! Call 941-496-4653 x 234 for great new opportunities. Pelican Pointe is home to Sue Powers LPGA "National Teacher fo the Year"
#1 Semi-Private Golf Course and #1 Brunch in Venice for 2018.